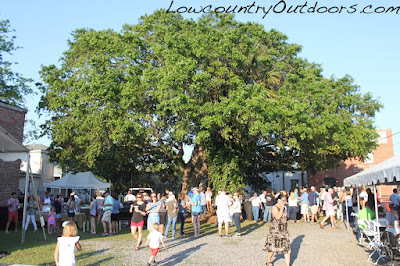 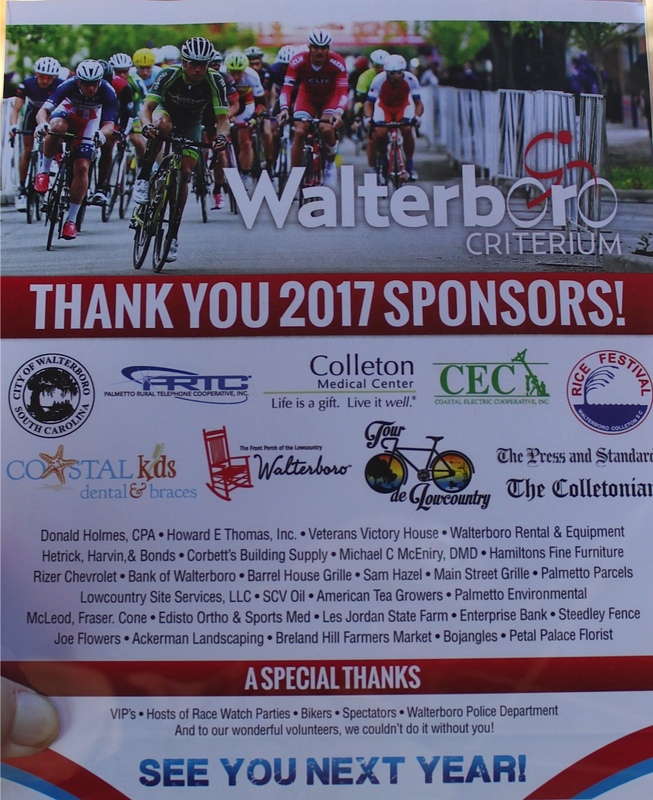 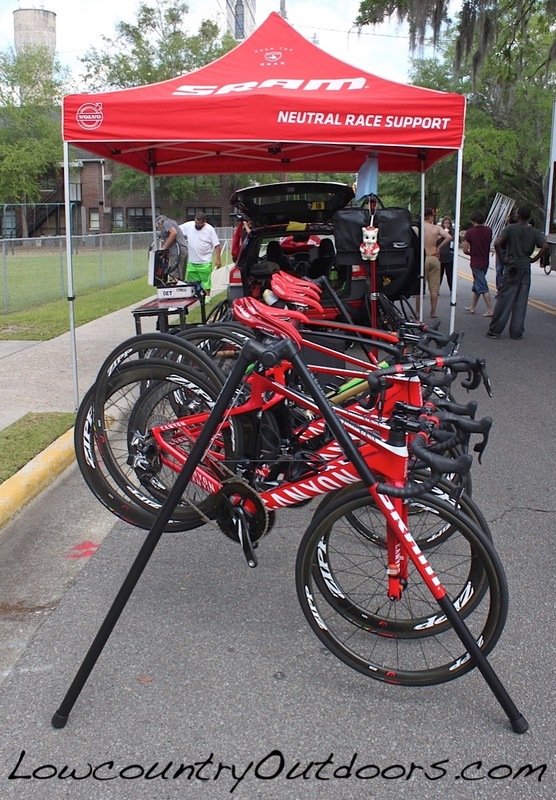 Downtown Walterboro is one of the staunch supporters of the CRITS speedweek, and the 15th annual cycling race on April 26 was contested under sunny weather conditions. Hampton Street and Washington Street are closed down to traffic at 2 p.m. and the first race for a Masters class of riders begins at 4 p.m., followed by several other races that increase in speed level, with the exception of the 6 p.m. 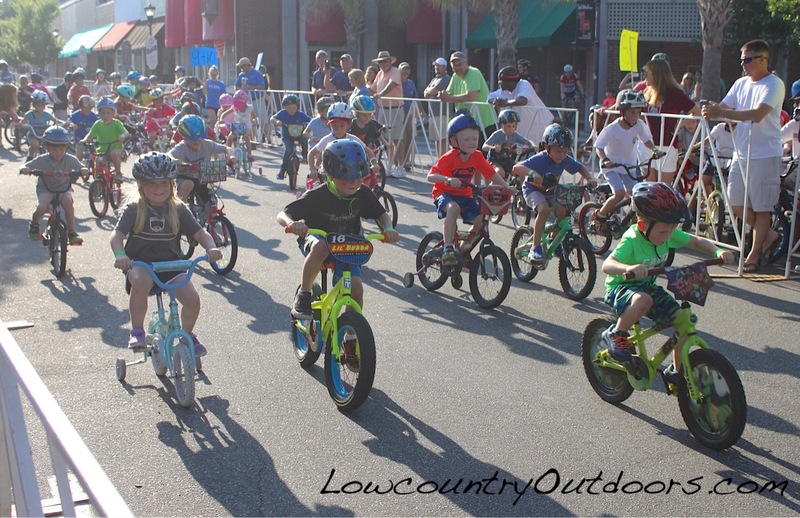 Kids Bike Race. 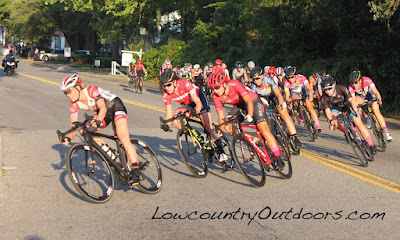 It's worth noting that the Kids race drew a large field of competitors and enjoyed just as much support from the crowd when it comes to cheering, as any other race!